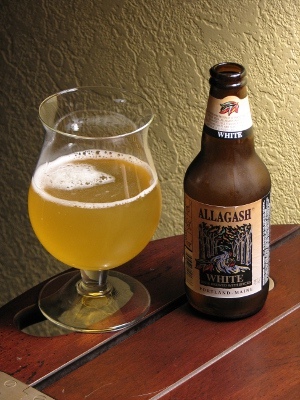 Wow…I absolutely love this Witbier, a Belgian “white beer”. It pours a beautiful cloudy golden pineapple color. It has a nice spicy citrus, possibly pineapple, aroma. The aroma is reflected in the taste, delish! It is a very crisp easy drinking beer with an ABV of 5.2%. This would be great on a hot summer day, relaxing outdoors, grilling burgers…now we are talking. 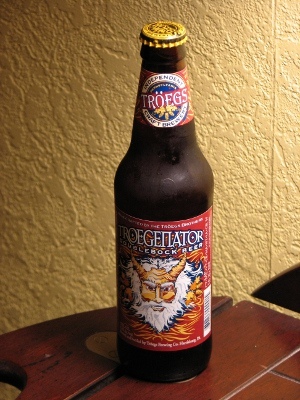 I’m going to kick off 365 Days of Beer with a particular beer from one of my favorite microbreweries, Troegs. I have never had a Dopplebock / Double Bock which happens to be a strong German lager. Judging by this, I will have more for sure! This one poured a lovely mahogany color with very little carbonation and a tiny head that quickly disappeared. It had a strong malty aroma with lots of caramel with a hints of cherry. It tasted like it smelled, was creamy and went down real easy. The ABV of 8.2% is hidden really well. I, KingBob, will be beginning my quest to try and drink a beer a day for 365 days. I will comment about each beer I drink but don’t expect reviews worthy of Beeradvocate. If a beer is good, it will get the KingBob seal of approval. If it is terrible…well, down the drain it will go. I hope you enjoy my little journey over the next 365 days. I know I will…hopefully my liver does too!! !